Table 1 below, presents the support RASOR provides to the Innovation Union Flagship initiative by highlighting key successes enabled through the project. 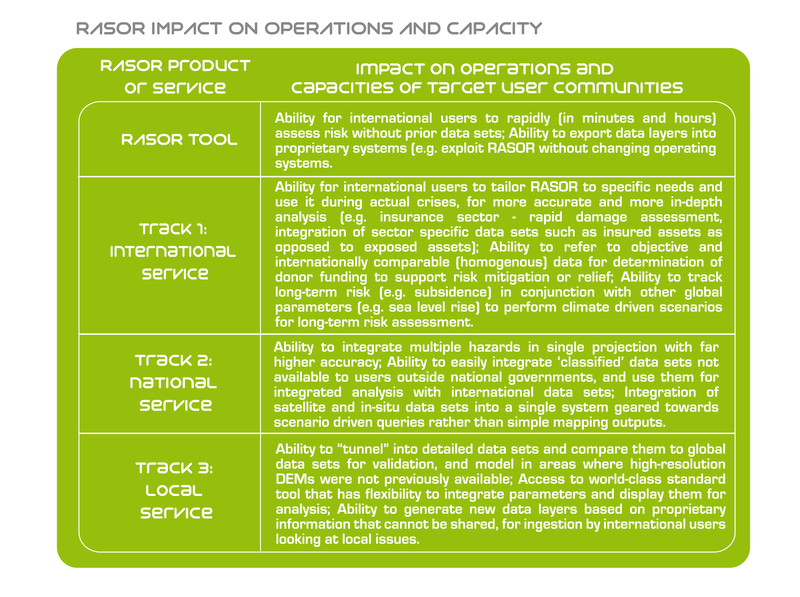 One of the distinguishing factors of the RASOR proposal is the unique position played by end user organisations and intermediary users such as UNOSAT, who play a bridging role with the entire UN family of agencies and organisations, or the World Bank, linking RASOR to Bank projects around the world. 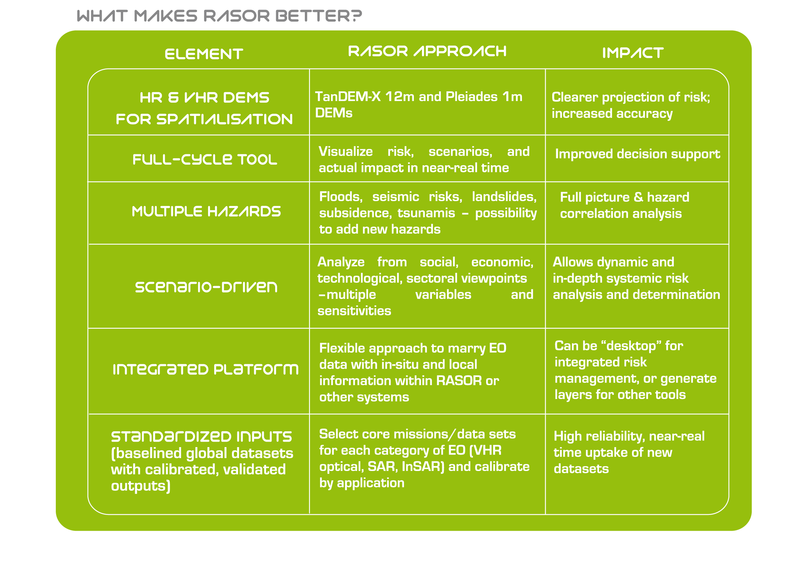 Table 2, below provides high-level impact for the RASOR product and each service track.